A report that listens to the voices of young women, to understand the needs of young women in Aotearoa New Zealand today. The HerStory 2017 report responds to a gap in research in Aotearoa, which often generalises the voices of young women between the age of 15 and 30. We believe that young women in different age groups face different challenges and opportunities. This report presents some of these nuances in the experiences of young women. Results from this survey provide valuable insights into the individual and collective challenges and opportunities facing young women in Aotearoa. Findings indicate differences based on age group in terms of knowledge of existing programmes available, the level of interest in the type of activities, understandings of what leadership really means to them, and economic, social, and cultural influences on leadership development. 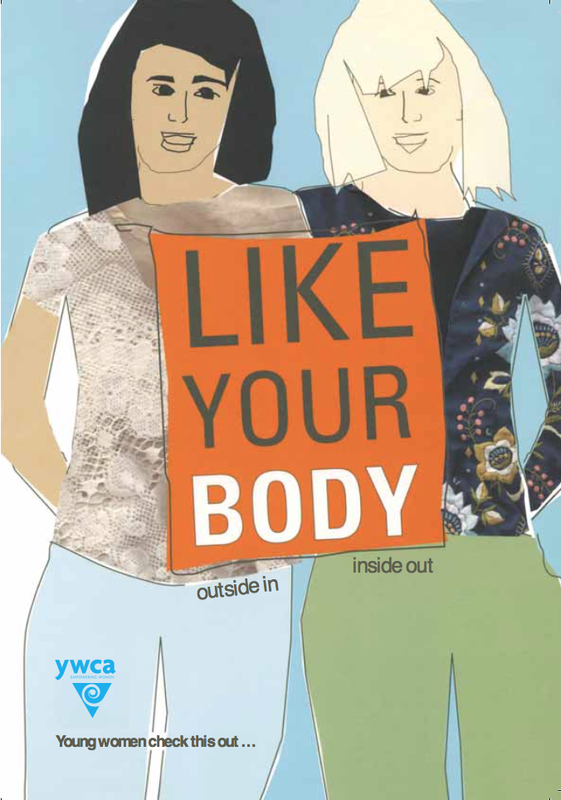 The YWCA has created free resources on a number of different topics. Click the images below to view PDFs, or get in touch about printed copies. A resource promoting positive body image for young women. Like Your Body is a readable and fun way to address these issues. Why has the YWCA produced this? It is well known that body image issues and eating disorders affect a large number of women. Like Your Body is a resource that empowers young women to think about their bodies in a positive way and provides them with lots of places to go for help if they are having problems with body image. It is a useful resource for schools, counsellors, youth health centres and other medical centres to provide for young women. It is important to get this message out to as many young women as possible! Like Your Body is aimed at young women between the ages of 10 and 17 years. While the messages could be transferred to women and men of all ages, the booklet focuses on young women because they are most likely to have body image problems. A booklet about having a say. It’s about believing in yourself and your ability to change your world. It’s about being part of something. It’s easy to be overwhelmed by the world’s problems, but there is so much we can do! The DIY guide is here to help you work out what’s important to you and what you can do about it. In order to effectively view an issue and create change, it is useful to consider the 3 ‘A’s: Awareness, Analysis and Action. The DIY guide increases your awareness about some key issues; encourages you to analyse and gain a deeper understanding of these issues, by asking questions, thinking critically and making links; and helps you start making a plan for action. It is written by young people cos we are out there doing it… and we want some more friends! It takes you through the 3 ‘A’s and looks at six key concerns that were identified by young people around the country, including discrimination, health, work, violence, the system and the environment. It also gets you to start thinking about your role in the global community and what your rights and responsibilities are as a global citizen. It’s really just a few ideas to add to your own toolbox for change. So get out there, get into it and get involved! A, kia kaha, kia tu maia, kia manawanui.